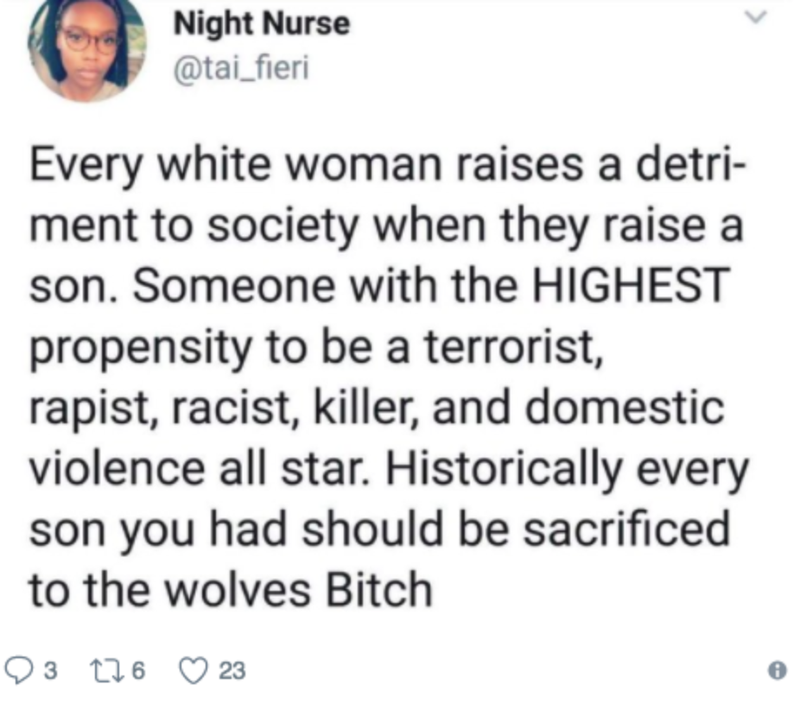 It also didn’t take long for an internal investigation by Baker’s employers, Indiana University Health, to find that this wasn’t Baker’s first highly charged and racially insensitive tweet, so they told her to kick rocks. “A recently hired IU Health employee tied to troubling posts on social media this weekend is no longer an employee of IU Health,” read a statement released by IU Health, IndyStar reports. IU Health confirmed that Baker was a registered nurse, but would not confirm for which hospital she worked, WXIN-TV reports. Read more at IndyStar and MyFox8.